Can you help me? I’m not sure what ‘being productive’ means anymore. Perhaps you can share your thoughts below. Shopped for a new suit, baked some cookies, had a lunch meeting and then an afternoon chat, kept up with most of my emails and social media, completed an online training and prepared the content of a new financial report schedule for my team, watched some audience development, volunteer and photography tips videos on Youtube, and read Ken Blanchard’s book “Full Steam Ahead.” Yes, you read that correctly: I read a book in one day. It happens. As dinner is cleared from the table and dessert prepared, I hopped onto the computer to share a day in the life of me, and yet there is plenty more to come, at least another 4 or 6 hours’ worth. I have no idea if this is a lot to accomplish, normal, or less than most people do. Can you help me? Outline in the comments below what a day in the life of YOU looks like, and I’ll be able to determine if I’m being productive or not. Thank you – I appreciate it. Last month I had the distinct honor of attending a Holiday concert in a rather chilly New Jersey, during which my Global Music Award winning piece Wind Quintet 1 was played for the very first time. Thanks to Jane Rondin and the Zephyrs Winds, I got to hear what the ‘human element’ could add to the composition I’d been hearing in my head and online for weeks. The audience seemed to really enjoy all four movements and I’m so pleased there were many friends & fans who were able to join us before (for drinks in town), during and after the concert – thank you. It’s always really nice to see familiar faces and meet new folk, too. Do you like this piece? Let me know in the comments below – it’s probably the easiest [non-live] way to stay in touch with what you like and don’t like. Give me your feedback and that way, I can write better music! Oh, and please forward this blog post to one of your friends. You just may be surprised who likes it! THANK YOU to all who participated in the 3rd Annual #AskAConductor Day on Twitter earlier this week. Remarkable stuff! Some friendships were rekindled, some new ones made, and I’m hoping that those who like live music (orchestras, choirs, musicals, opera, film, etc.) are now more aware of what conductors actually do, how they do it, and why. After all, that’s the purpose of giving you a global opportunity to ask a conductor whatever you want! If you missed it, glean the incredible list of original tweets from the transcript linked below and make sure you join my mailing list so you get to hear about next year’s event ahead of time. But grab a last-minute chance now – add your question in the comments below and I’ll put it to ‘the crew’ and have a go at answering it myself. We don’t want you non-Tweeters to be left behind, so ask away! Be sure to join in the fun next year! Earlier this evening I hosted my first Twitter chat. Thanks to the encouragement, inspiration and sharing of resources from Lisa @PracticalWisdom it seemed to be a success! Well, I certainly enjoyed it, and time simply flew by. And I’m impressed that a conductor from Finland joined in – it was 1am there when we started! Do musicians who played in youth orchestras now advocate for or even attend orchestra concerts? Do concert halls help or hinder the success of orchestras? Why are some conductors marketed and treated like Rock Stars? What a journey this has been! I do hope you’ve enjoyed it. I wrote the introduction and added a fun little coda (remember Dudley Moore’s numerous types of Endings? ), and just tweaked a couple of passages here and there. But until then, this video will have to do. Thanks for taking this journey with me. Please add your comments below – what do you think of this piece? What did you like about these posts? Should I do this again with another piece in the future? Who do you think would like to read this series – friends, colleagues, neighbors, or anyone else you know? Let’s take a break from seeing how a composition is created for a moment, because here’s something really exciting for you. 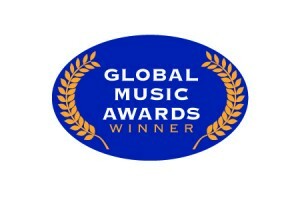 My composition Wind Quintet 1 just won a Global Music Award and will be premiered at the Madison Arts Festival in New Jersey on Friday, November 23 at 7:30pm. That’s Thanksgiving weekend, and I’m going to be in town 🙂 Let’s celebrate the Award together! So, if you are an SPB email subscriber or SPB blog reader then here’s something exclusive for you: meet me at 6pm and lets hang out before the concert at 54 Main St (that’s the name of the bar/ restaurant). And be sure to ask the bar staff for a Schmooze! (It’s a non-alcoholic drink – recipe here). We can then convoy up the street a couple of blocks to the concert venue. Oh, and there’s a reception after the concert, too, for everyone who attends. @Stephen_P_Brown invited me to an exclusive pre-concert “Schmooze with Stephen” hangout. Yey! Well, it’s not an event as such, but it makes for a great blog title, right?! Today we develop the Main Theme of our piece. In music, a theme is usually a melody but it could refer to an accompaniment or even just a rhythm, but we’ll stick to something conventional this time. How is a melody created? My first task is to decide how often to have different chords played. Most of my tonal pieces have one chord per bar (or measure). In our piece, that would mean we play a G Major chord for four beats (a G Major chord is made up of the 1st, 3rd and 5th notes of the G Major scale – refer to last week’s post for info about that, or check out Wikipedia for a communal explanation about chords). In the second bar, we’d play a different chord, but one that is closely related to the previous one. Perhaps D Major. Maybe then back to G Major, followed by C Major, and for the next four bars, G, C, D and finish on G again. However, there are other options, and I’ve opted for a pretty challenging one: to make the melody an eight-bar phrase but keep the same chord throughout. It’s possible! A lot of classical era composers managed it, so I’m going to attempt it. Why is it a challenge? It’s going to be tough to make it interesting and likable over such a long period of time. First, just for reference, the primary (root) note of each chord is placed in every bar in the bass part. I can build the composition from there. In some complicated pieces I’ll add a piano part with all the notes of the chord in it but delete the piano part before I finish. Notice how the first two bars repeat in bars 5 & 6 – that creates familiarity and gives the listener something to hold onto. The melody also ends on G, the root of the home key. Next we will add the second theme and expand the exposition, adding things like ‘bridges’ and ‘interludes.’ Exciting stuff! Really !!! Following last week’s post about how to start a composition, well… how I am starting this composition… a few decisions have been made. Each have their own special qualities and after a little thought, I thought it would be nice to try Sonata form. I don’t remember the last time I wrote something in Sonata form (and stuck to it) so here’s an opportunity. At the moment, Sonata form will form the dominating format, although during the creative process unexpected twists and turns can often lead compositions into completely unplanned territory. Coda: An ending unlike any other. Or, probably like every other. Beethoven had a really hard time ending his music, so pieces like his famous Fifth Symphony could actually end many, many times but none of them actually do end the piece. Until there are no more chords left. So, quite imaginatively, let’s call our piece after its structure, “Sonata.” But who is it for? Well, it’s for a chamber orchestra of sorts. Not piano, nor violin or any other solo instrument. So we can expand the title of our new piece of music to: Sonata for Chamber Orchestra. Like it? I do. Don’t like it? Are there any other options? Yes. Lots. Think of a title and put it in the comments below. I also chose to go with the key signature of G Major. The KEY of a piece of music tells the players what tonality to focus on. In the Western world we have developed a system using 12 different tones that repeat (on a piano, play every consecutive note starting with the left of the three black keys, F sharp(#). You’ll end up hearing ‘another’ F# 13 keys later). From those 12 notes, 8 of them form the basis of tonality – major (happy) scales and minor (sad) scales. Again on a piano, find ‘C’. It’s the white key immediately to the left of the two black keys. Play that C plus only the 6 white notes to the right, and then finish with the 8th key which is actually another C. Repeat. And repeat. Start with any C and play the scale – they all sound the same only higher or lower. The combination of tones forms the scale, in this case a major scale. Copy that combination of tones but start on G (G is 5 notes up from C, including C. It’s the white key immediately to the RIGHT of the LEFT-MOST of the THREE black keys. Got it?!). Only this time, instead of playing all the white keys, when you get to the 7th key, don’t play it. Instead, play the black key immediately to the right – that’s right, F#. This major scale is what will form the tonal foundation of our new piece. For several years the busiest conductor on the planet was Valery Gergiev. His conducting style is unique (to say the least) but he gets players rallied together to produce fantastic live performances. Interestingly, he often doesn’t even use a stick (speaking vernacularly. The posh term is ‘baton’ but that’s one of those ‘tomahto, tomayto’ transatlantic words). There’s one video out there of him conducting with a toothpick! He has three cell phones and keeps a suitcase of clothing in five cities in the world – at least if his flight is delayed he doesn’t have to wait around for his luggage. If you could travel the world doing what you love most, what would it be? Classical music online is abundant. Here for your entertainment and sheer wonder is a fabulous video by some bored piano store salesmen in Utah, in which the performers deftly amalgamate two completely separate and individually recognizable pieces of music (both representing a little piece of Mid-West USA, just for extra measure). Somewhere over the simple gifts.